Summary: Our offering for 2008's 48hour game making competition; the words for the game were Watermelon, Astronaut, and Summertime. 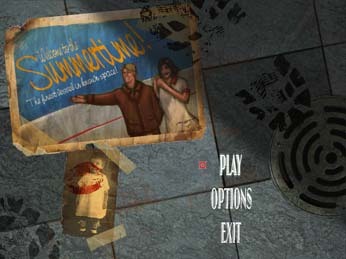 The player controls a female scientist aboard the ex-luxury spacecraft, "Summertime". She must avoid or dispose of mutated watermelons hell-bent on getting theirs back on humanity, while racing against the clock to get to the craft's escape pods.